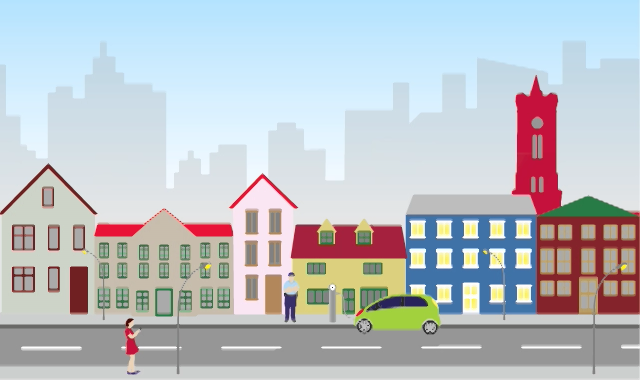 Do you live in a city that has what it takes to become a smart city? The intelligent city of tomorrow is closer than you think. In the year 2050, planet earth will look different than it does today: Nine billion people will be living here, of which 70 percent will be in cities. Urbanization, globalization, demographic and climate changes are putting ever higher demands on our cities. At the same time, however, greater opportunities to manage energy, material and human resources efficiently are also being created. It is the goal of the smart cities to seize these opportunities. An important basis for this process is the integration of information and communication systems into the various technical systems and infrastructures of a city. This enables the flexible control of supply and disposal networks, especially for electricity, water, and gas as well as goods, and makes novel solutions for mobility, administration and public safety in the city possible. Citizens, businesses, institutions and government are in constant contact and increase the quality of life and work of all parties through efficient and integrated information flows. The city becomes more of a service provider for its citizens and businesses and see that things keep running smoothly through seamless and transparent administration processes. An optimally networked city not only makes everyday life easier in all aspects of life but also provides environmentally sustainable solutions. The smart city is an informed, networked, mobile, safe and sustainable city.